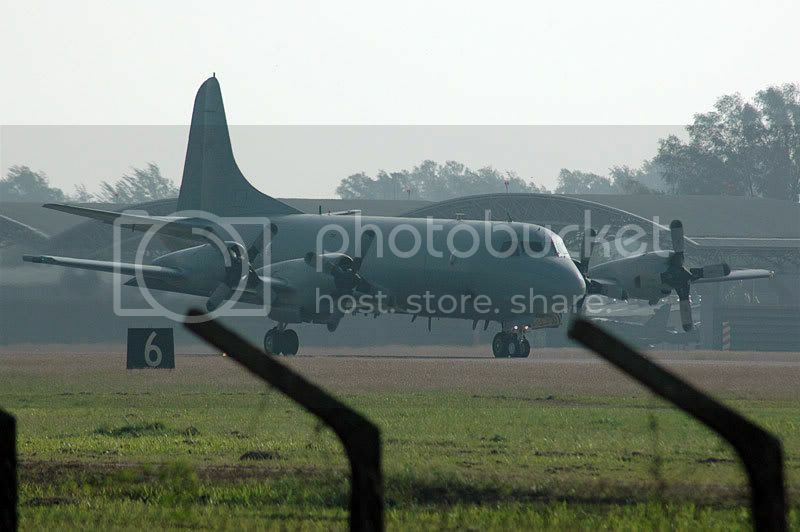 and guess what, RMAF has no pilots to fly those, got only 2 instructor for 8 or 9 MBs (if i'm not mistaken)..
whoa..and they are talking about purchasing more aermachis? ?so the 2 MiG-29NUB isnt the only reason to pilot shortages i guess? 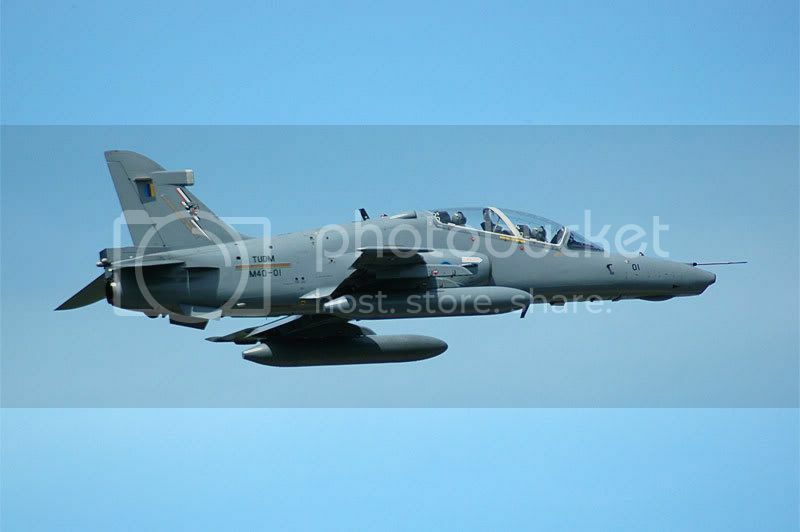 According to a report in an UK aviation mag the TUDM ordered 8 new MB-339CM's in Nov 2006... Does this order still stand? Thanks Fitri for the excellent photo's. 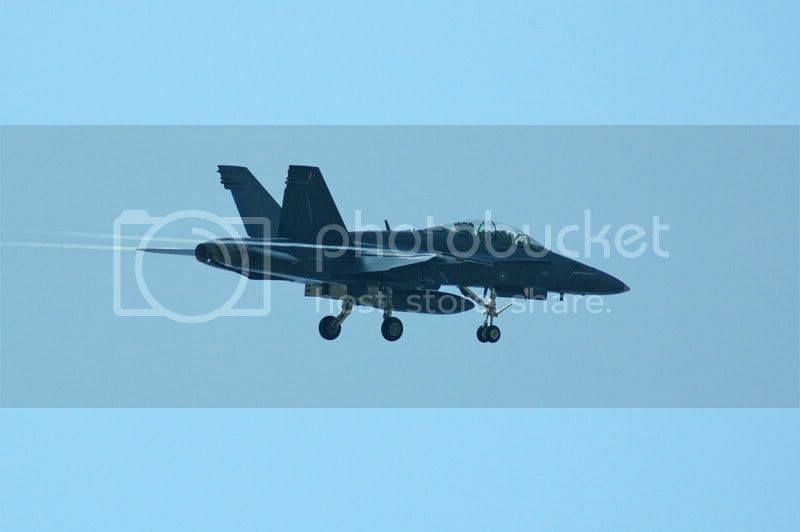 Nice to see a bit more military hardware. I was fortunate to get a visit around Butterworth in Dec 2004 and was shown several F-5's that were earmarked for upgrade, presumably the one's in your photo's are the upgarded versions. 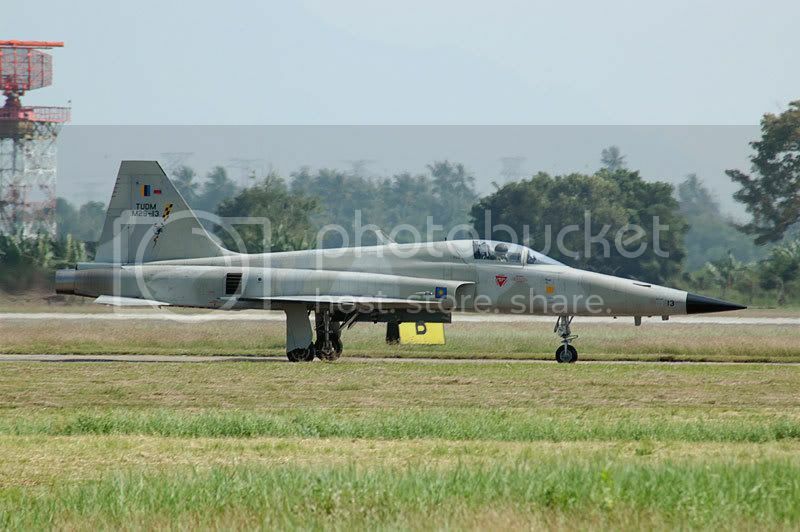 Looking forward to seeing the Su-30MKM's in Langkawi in Dec before flying down to Penang for Xmas. I think the new MB-339 are ex-Royal New Zealand Air Force now undergoing refurbishment by Aermacchi. 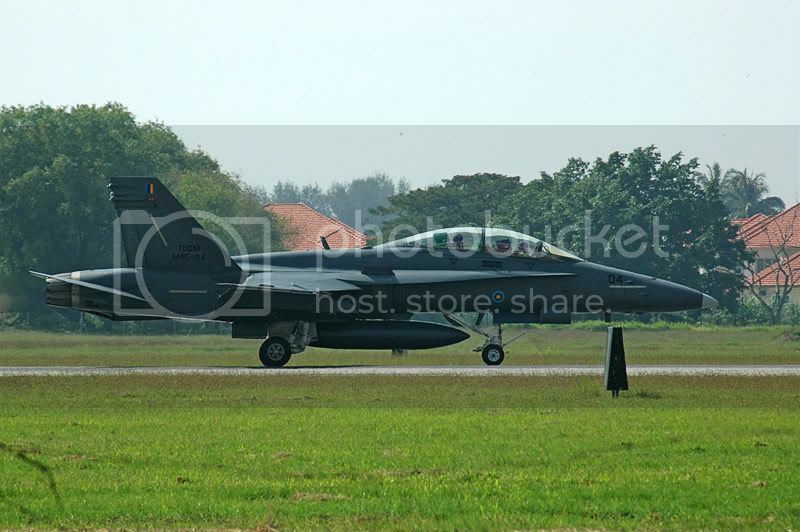 Actually, I'm confused as to why RMAF have two but different fleet of fighter trainer, namely the Hawk 100 and the MB-339. 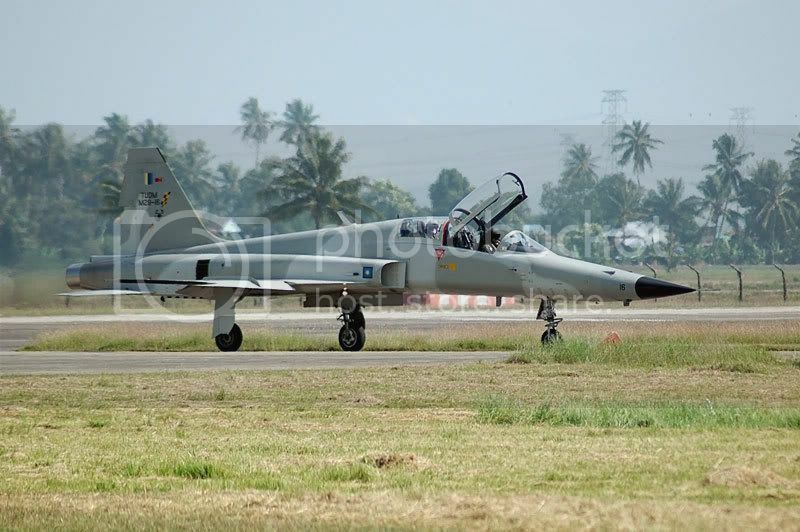 RMAF bought 10 BAe Hawk 100 in the 1990s but some have crashed. Dec 2004 to March 2005 was one of the most interesting time at PEN and WMKB (RMAF B'worth) in terms of traffic due to the Indian Ocean Tsunami relief effort. 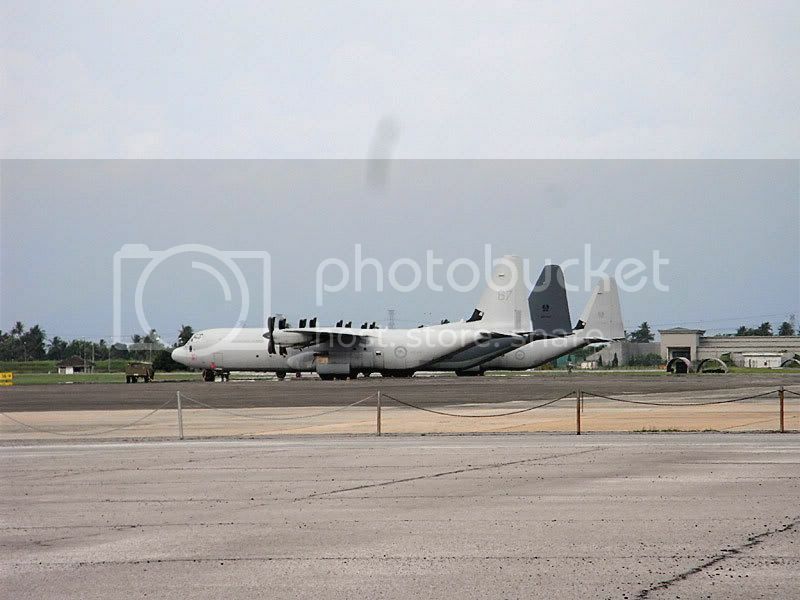 PEN and WMKB was the chosen cargo hub by military and civil airliner worldwide to ease the congestion at the smaller Banda Acheh airport. 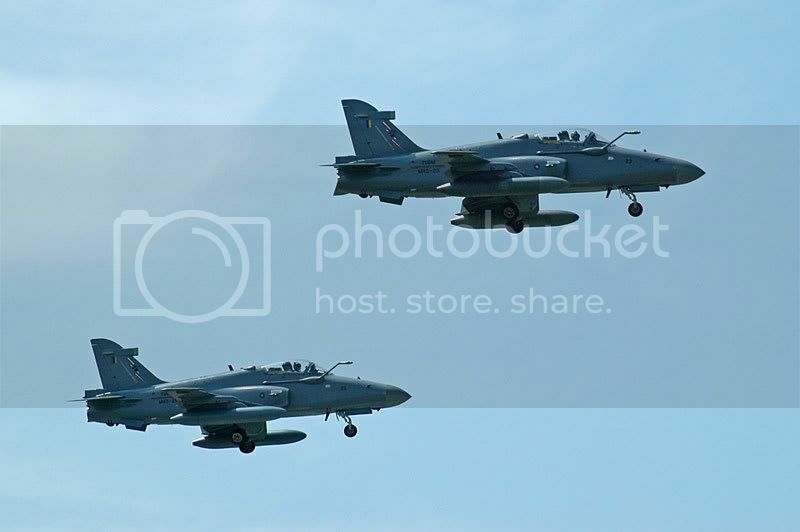 Sir,the Aermacchis are not exRNZAF but brand new ones.The deal for the KIWI birds fell through last year.Current streaming,pilots coming off from Basic Flying (PLTB 1),those destined to fly Mig29s and F5s go to MB339A and those selected for Hawk 208,F/A18D and future SU30MKM fly the Hawk 108.When they bought the Hawk 108/208,it was in lieu of the projected Tornado MRCA,cost too high and small number so went for Hawks.Repalced the A4PTM at Nos 6 and 9 Sqn and formed a new training unit,sort of Operational Conversion Unit for Fighter or fast jet aircraft.So the RMAF disbanded PLTB 1 and formed instead No.15 Sqn.Lately the No.9 Sqn was amalgamated with No.6 Sqn.Likewise No.17 Sqn is the OCU for Mig29 and No.19 Sqn is the operational Sqn,heard latest No.19 Sqn also amalgamated with No.17 Sqn. 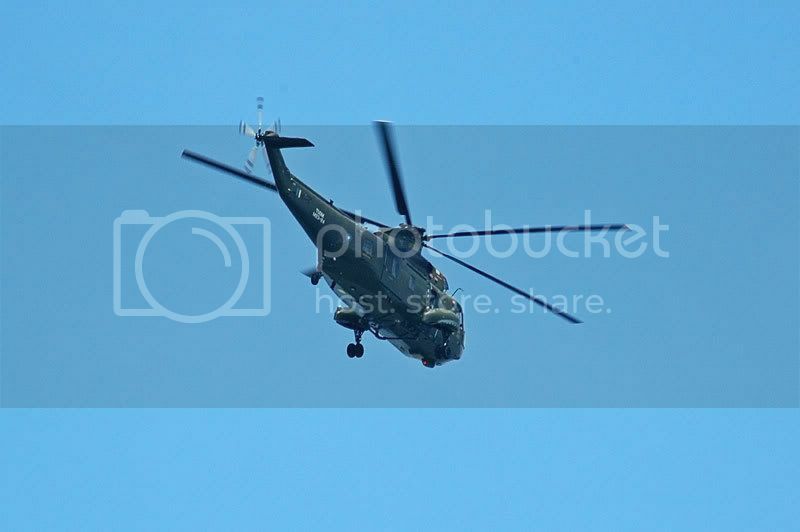 As for Helis,after Basic Flying with PLTB 1, they will go to PLTB 2 for rotary wing qualifications,and after that off to No.3 Sqn which is the Heli OCU. Thank you for the correction of the MB339 and for the detailed explanation of RMAF. Regarding the MB339 for MiG29 and F5 and Hawk100 for FA18D and SU30MKM, it seems that MB339 is for older generation of fighters and the Hawk 100 for fly-by-wire fighters. Wow, ain't that creating head ache for logistics. Not to mention limited weapon inter-operatability. 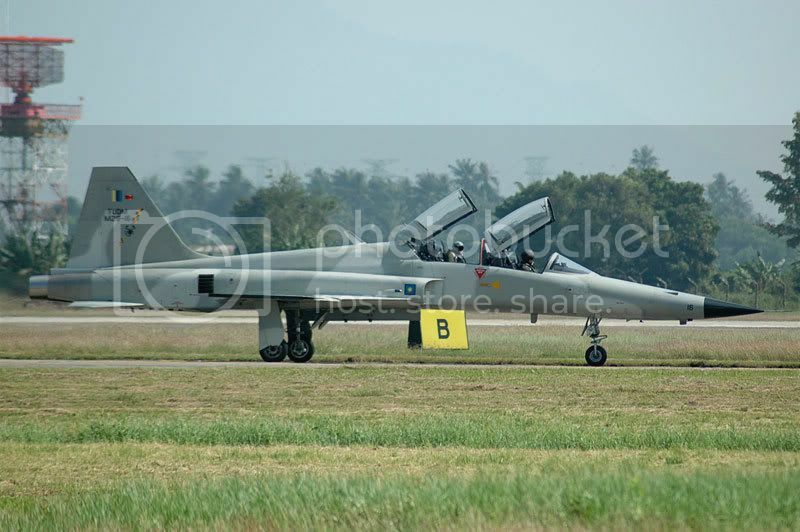 I don't know what is in the mind of our defence planners, but I think it would be better if RMAF reduce the number of fighter fleet type to (1) frontline multirole fighter (SU30MKM), (2) secondary multirole fighter (MiG29 or FA18D or some new type such as Gripen which can use Russian weapons too), and (3) fighter trainer (Hawk 100). Excellent photo..... really liked the F-5's you posted before the 'crash'. Any chance or re-posting ? Whetted my appetite, don't see too many F-5's flying nowadays. Saw 2 Turkish AF examples (ex RNeth AF) in UK and one Spanish AF in Belgium all in July. Might actually see you snapping away if your about after Xmas, as I have received confirmation from KL today that I can visit Butterworth on 27 or 28 Dec (very nice Xmas present). Hope the tour is as good as last time in 2004. This evening. C130 Hercules from Down Under. 3 of them some more. Wa..Good catch over there !! 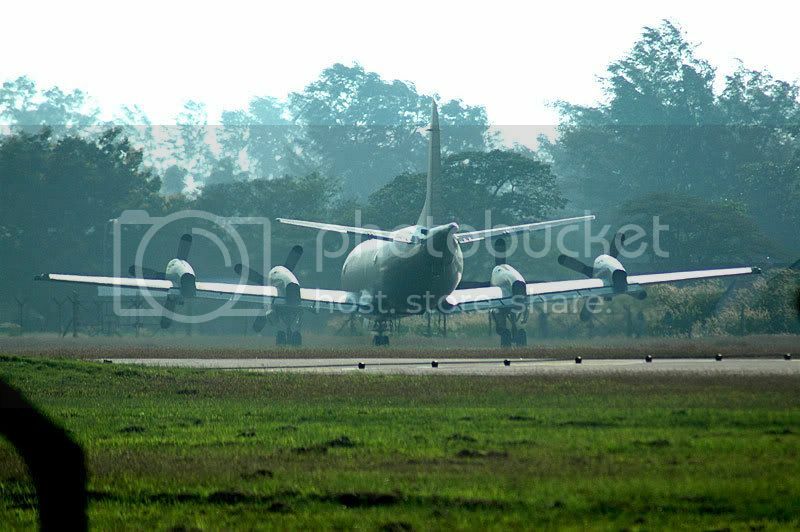 I think they are currently deployed for the Exercise BERSAMA SHIELD with RMAF. Expecting more traffic at RMAF Butterwoth this month, on 23-25 May 2008 - RAAF's 50th Anniversary of the establishment of a Combat Support Unit at RMAF Base Butterworth. Edited by MIR, 03 May 2008 - 09:14 PM. Thanks for the info MIR. Too bad I'll be outstation during the BERSAMA SHIELD. Looks like the Aussies sent in a couple of stretched J series..nice one! !keep em coming!! Fitri, awesome bro! atleast you got 1 of the 3 in new 37sqn (Trojan) colours! M. Faridz, all our J's are the stretched -30 model. Now to wait and see whether we get the mini Herc J's (AKA C-27J spartan) to attempt to replace our Caribou's! Edited by Liam Gibb, 06 May 2008 - 10:22 PM. 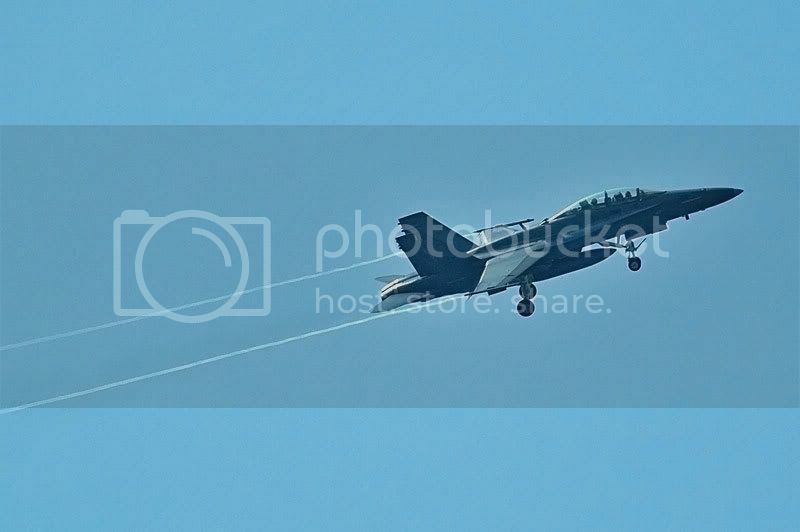 Ho!Ho!really love the mighty Herk...especially the Js with that new prop...C27 Spartans?..saw the demo ac in Dubai Airshow a couple of years back doing barrel roll with the ramp open and the quartermaster standing there!! !really impressive mini herk!! 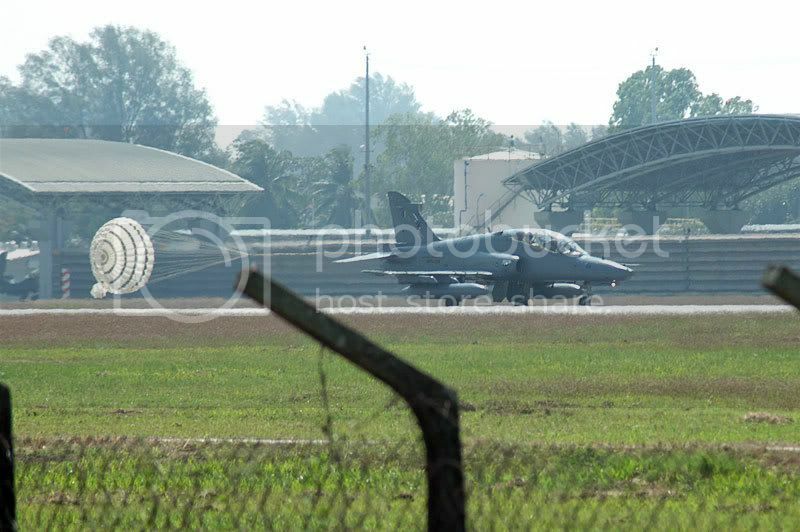 whoa..military birds thread back online!i envy u la..getting the chance to snapped such wonderful close up photos of those planes..if i had an RMAF base that close i would buy a khemah and camp there..but nearest airbase for me would be sg. besi and i dont think those nuris are worth camping out for..
i remember how excited i was at LIMA but was severely dissapointed when i realized that my 3.2mpx camera produced pathetic pictures..considering the time i spent at the airport during LIMA,you could understand my dissapointment for not getting even one quality picture of the planes flying,taking off etc..
but still,the excitement of watching those planes zooming about in the sky is something i still 'feel' until today..i love planes that much! my kampung is in kepala batas and i wonder why i never thought of stopping by at the butterworth AB..
Edited by iwan, 08 May 2008 - 01:45 PM.